25 litres patio/stone cleaner for all types of stone. For use on both artificial and natural stone. 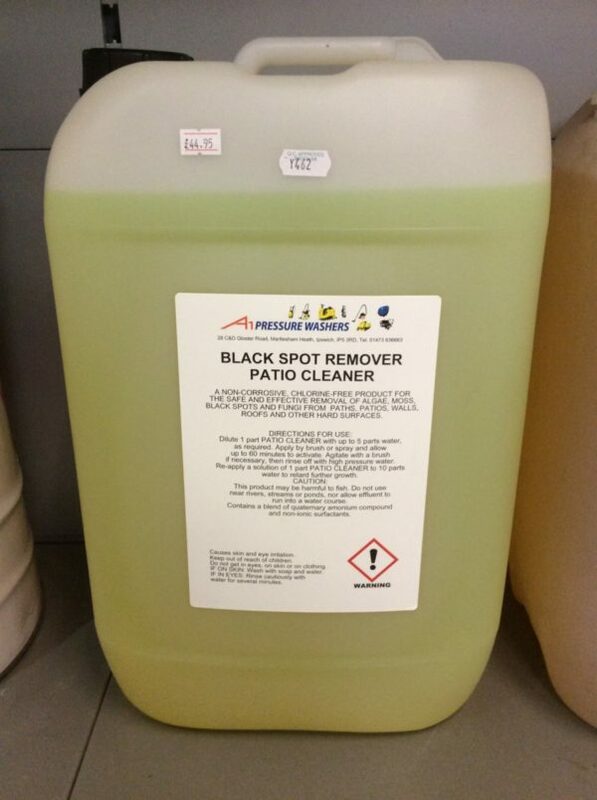 Targets the black lichen spores, before they can germinate also kills green and red algae that grows on garden paths, patios and other decorative stonework. Can be used with a simple pneumatic garden type sprayer. Offers complete protection when used annually.